Liverpool and Manchester City played out an absorbing goalless draw at Anfield on Sunday. There was little to choose and few chances shared between the teams who started the weekend level on points at the top of the Premier League, but the visitors could have claimed victory via an 86th-minute penalty. The otherwise flawless Virgil van Dijk was adjudged to have felled Leroy Sane in the area, presenting Riyad Mahrez with an opportunity to settle a nip-and-tuck encounter late on. However, the City forward blazed his spot-kick over the crossbar, leaving the sides with a point apiece. Dejan Lovren came in for his first Premier League appearance of the season as one of two changes to Liverpool’s starting line-up. Jordan Henderson also returned to the XI, with Trent Alexander-Arnold and Naby Keita named on the bench as Joe Gomez moved to right-back. 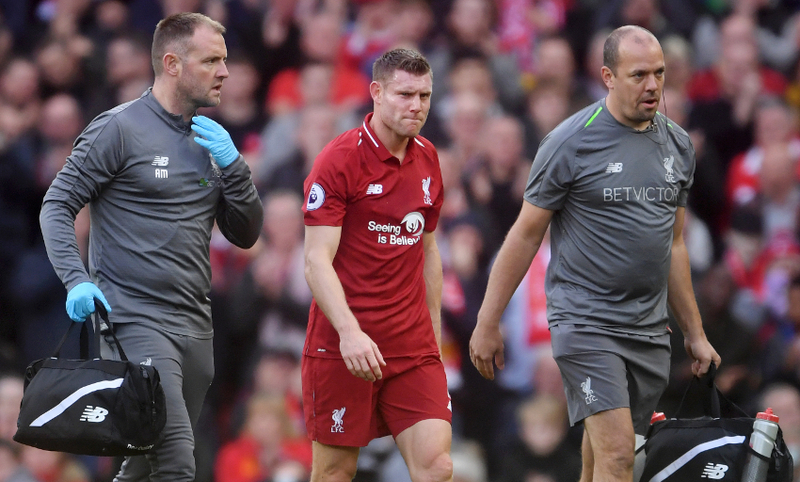 Keita, who came off against Napoli in midweek due to a back spasm, was summoned before the half-hour mark to replace the injured James Milner, however. Something of a cagey opening to the game could perhaps be attributed to the teams’ wariness of their opponents’ attacking potency. Early instances of retrieving the ball back high up the pitch offered encouragement to Liverpool, though. 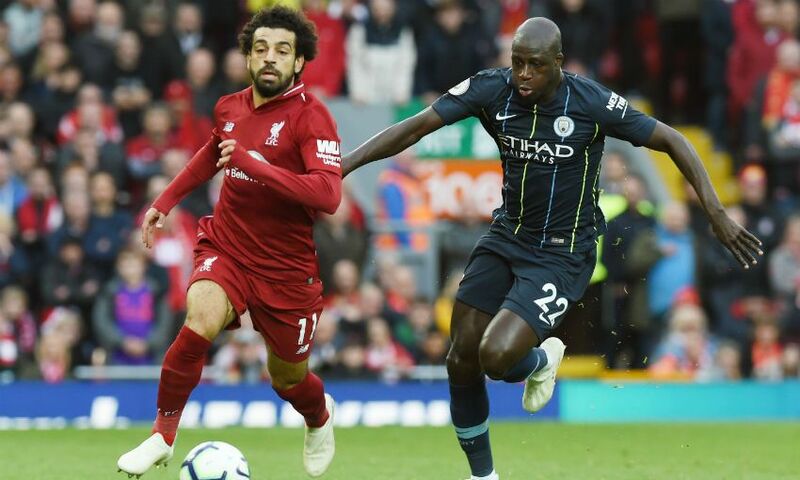 Mohamed Salah dragged a shot wide after Georginio Wijnaldum had done just that in the fourth minute, before Benjamin Mendy stretched to get a vital touch on Sadio Mane’s cross that was bound for the Egyptian at the back post. Henderson’s lofted throughball, played to find the darting run of Salah down the centre, was overhit by a fraction and City, having been on the back foot, then regained an element of control by keeping possession for lengthy spells. Appeals for a penalty from the visitors - when Sergio Aguero went down under Lovren’s challenge after Gomez had miscued a clearance - were ignored shortly before Jürgen Klopp made an enforced substitution, with Keita replacing Milner. And, while Pep Guardiola’s team enjoyed the majority of the ball for the remainder of the half, there were no further meaningful attempts on goal at either end before the break. There was more urgency to Liverpool’s work immediately after the restart - and the home crowd responded by raising the volume accordingly. But it was City who went close to breaking the deadlock on the hour, as Mahrez drove narrowly wide of Alisson Becker’s far post after his diagonal run was found by David Silva. At the other end, Salah nipped in ahead of Aymeric Laporte to gather Andy Robertson’s searching pass, but cleared the bar with his shot. With 20 minutes remaining, Klopp introduced Daniel Sturridge for Roberto Firmino and the No.15 soon had a half-chance to make another telling contribution from the bench. Gomez ended a raiding run down the right with a fine cross, which Sturridge nodded straight at Ederson. 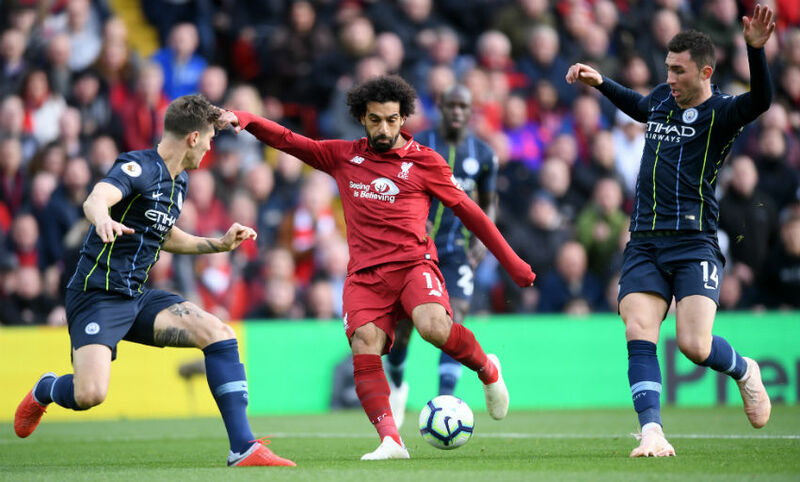 There was to be late drama, however, as Mahrez sent his penalty in to the Anfield Road end to ensure Liverpool extended their unbeaten home run in the Premier League to 25 matches.